Our solutions are built on a modular foundation that allows the customer to mix and match their devices, software, and support options to meet today’s clinical needs while allowing incremental future expansion. Start with the basics and add capabilities as your practice grows. 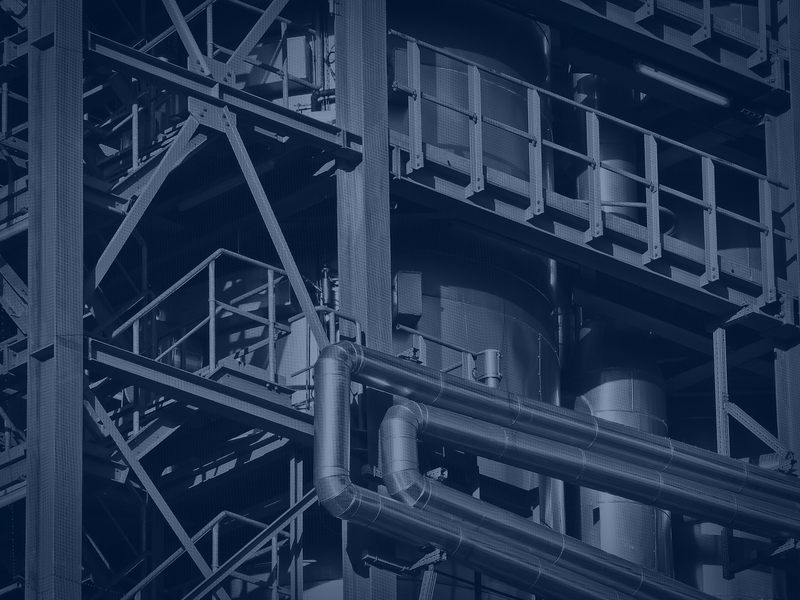 All of the components we offer are designed to be interchangeable and to work together without the customer being forced to learn multiple software packages or maintain multiple vendor relationships. Visio supports the entire solution as a whole, eliminating finger-pointing. We can even integrate with most third-party medical devices, allowing true workflow control and simplicity. At the heart of our platform is a powerful software engine that runs on common PC hardware. No special “receiver” hardware is necessary—you simply use the PCs and web browsers your already have, saving both money and time. Upgrades are a matter of updating software, rather than customized hardware that can quickly become obsolete. Stay on the cutting edge without buying new hardware. Visio’s platform makes extensive use of commercial-grade software encryption technology; the same technology used to safeguard billions of financial transactions across the world every day. As threats evolve, so do the encryption technologies which are provided to you via regular software updates. Your safety and security is important to us. All of our medical devices are FDA listed as Class I or II. The overall platform is listed as a Class I Medical Data Device System (MDDS). Where applicable, user-level auditing for HIPAA/HITECH compliance is built into software and services that retain Personally Identifiable Information (PII). If used, all cloud services are maintained in a HIPAA/HITECH/SOC2 audited data center. Expensive, proprietary telemedicine systems are a thing of the past. It was once true that only custom-designed hardware could achieve the performance and reliability necessary for two-way, HD video for quality virtual visits. Modern PC technology has surpassed dedicated systems and when paired with our software solutions, offers more than just good videoconferencing. With the savings you’ll get from choosing our modular solution over customized hardware, you can provide additional specialties, serve more clinics, and expand your patient base. Telemedicine is big news, with organizations large and small adopting the technology for a wide range of purposes. The regulatory and reimbursement environment is changing rapidly, and new healthcare funding models are focusing on outcomes–disrupting existing care models and forcing providers to do more with less. Innovation today means more than just what medicine can do to heal us; it means completely re-thinking how we deliver that care to patients. Healthcare’s becoming a logistics problem. You have physicians in one place, and patients needing care in another. Originally, a doctor could make a house call, but with the advent of modern medical equipment and an explosion in served populations, house calls have become impractical. The solution was to bring the patients to the clinic where the doctors, machines, and medical information necessary to treat them were centrally-located. While that model worked for that time, it has become grossly inefficient in an environment with physician shortages, inefficient distribution of available physicians, aging populations with mobility restrictions, and healthcare deserts where access to care is limited by geography or the economy of an area to support an able physician.Telemedicine is a cost-effective way to address this new reality. But it is also more than that. It is an opportunity to truly do more, and do more better, with less. Setting up a successful telemedicine program involves many moving parts, but you need not go it alone. After all, physicians spend years preparing to care for their patients, but little of that time is spent teaching them how to extend that care outside a traditional clinic environment. You rely on specialists everyday to support your practice. You need a telemedicine specialist to assist you in giving your practice additional reach. 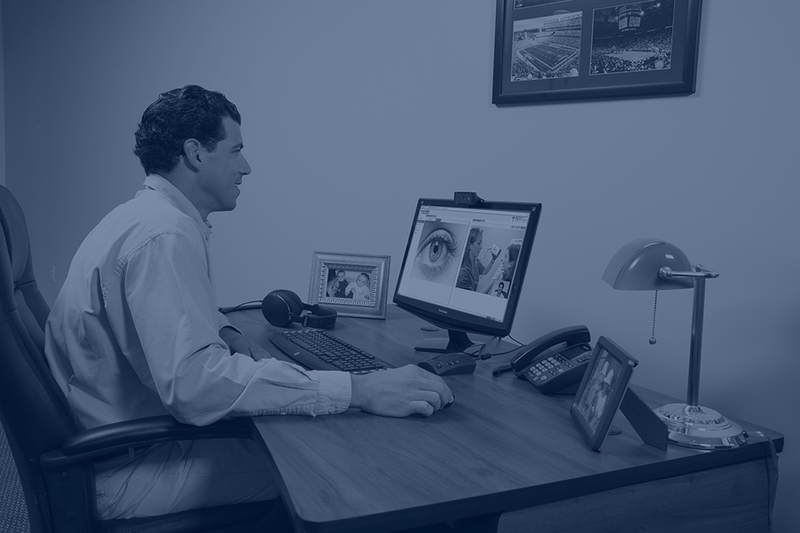 Visio Health is your telemedicine operations management specialist. Our sole focus is to help our customers choose a telemedicine program that fits their needs, and to help them operate and monitor the program they choose. Telemedicine is not a sideline or niche product offering for Visio Health. Our goal is not to sell you equipment and services and wish you luck, but to partner with you to incorporate telemedicine capabilities into your mainline delivery of care. Together we can implement a telemedicine solution tailored to work for you. Successfully deploying and operating a telemedicine program is a complicated, multi-disciplinary endeavor. Successful programs are flexible, with support ready-at-hand and technologists to keep a keen eye on the workings of the system 24-7. Visio Health monitors, measures, and proactively manages your solution so that it is ready when you need it. We don’t hope that the system will work; we continuously monitor and measure the system to ensure it works. Contact us today to find out how we can work together to implement your telehealth solution. 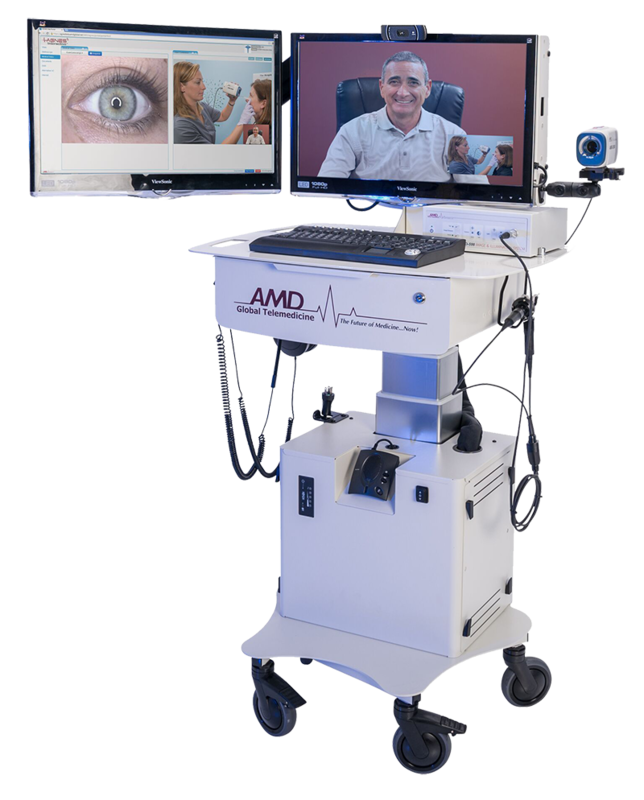 Visio Health is a premiere value-added reseller for AMD Global Telemedicine.